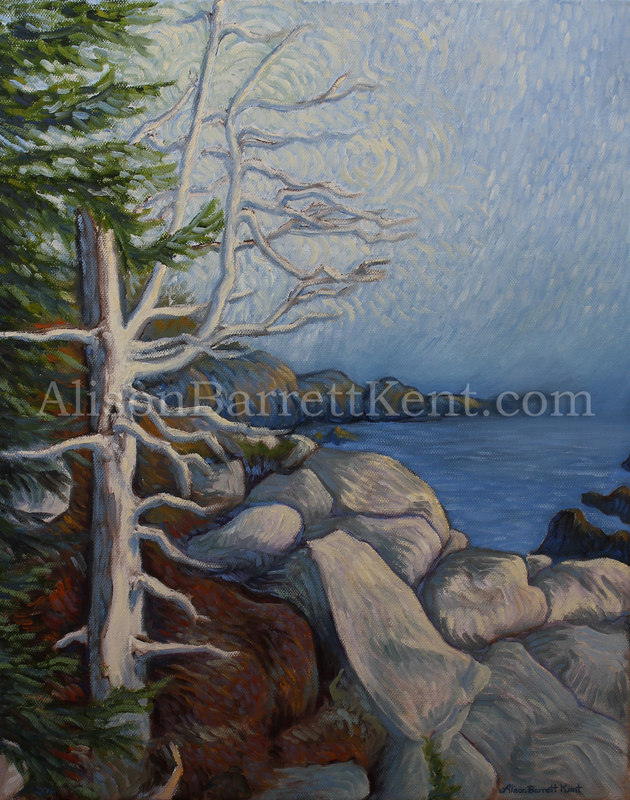 Fog blankets the water near the West Quoddy Park trail to Greenpoint as late day sunlight shines on the rocky shore. 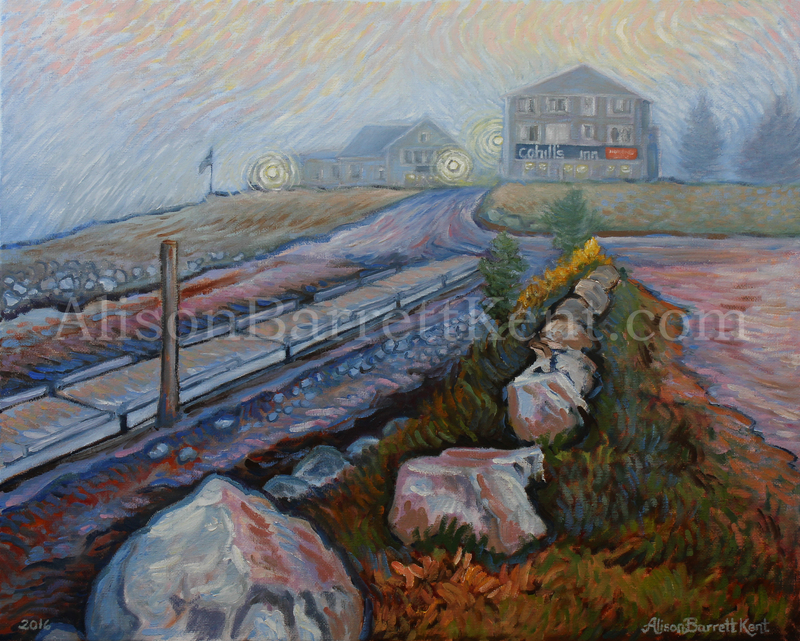 #1 – Gulliver’s Hole in West Quoddy State Park, Lubec, ME. 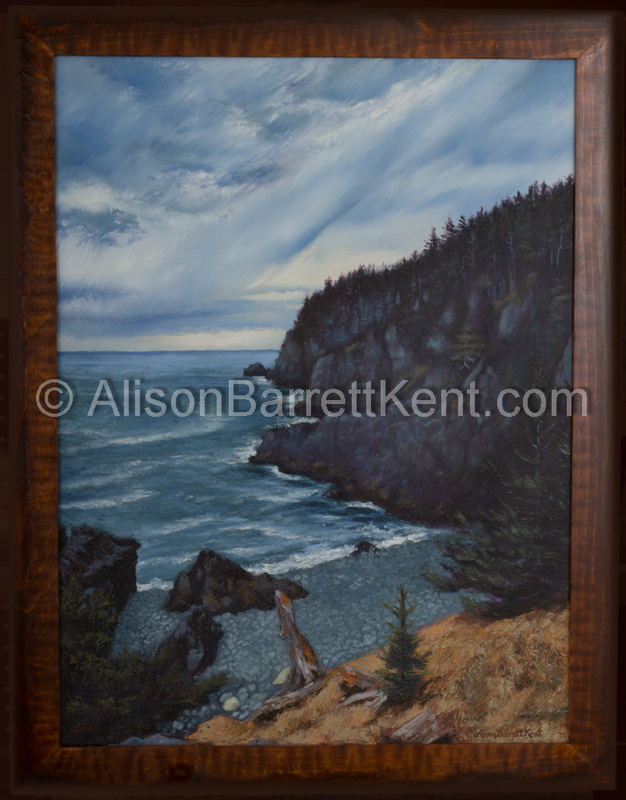 21″x 27″ Framed oil. "View from Green Point - Last Light"
#2 – A magical view from Green Point. 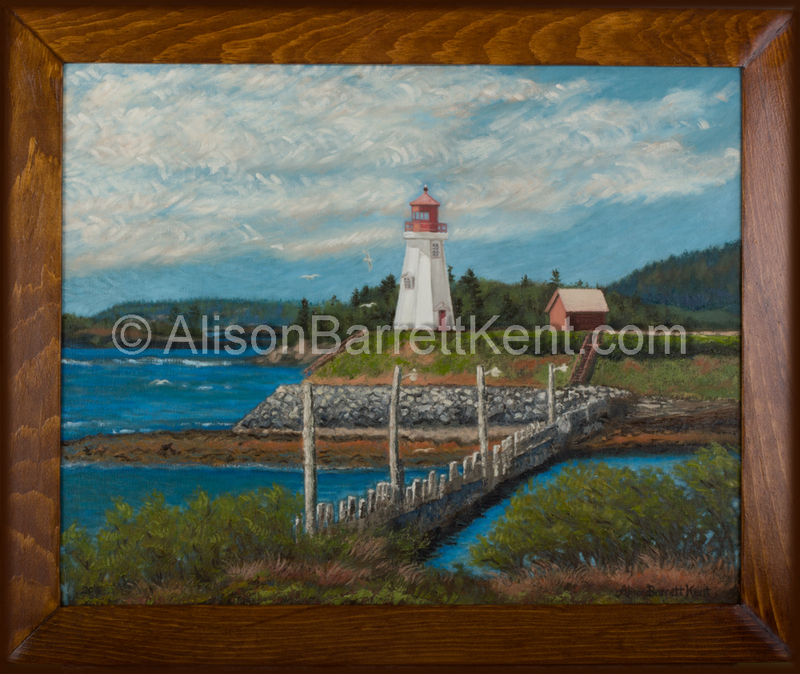 21″x 27″ Framed. 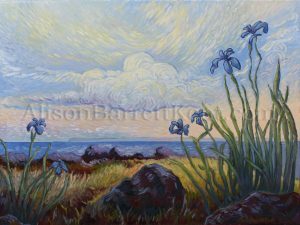 #3 – Along the path to Green Point. 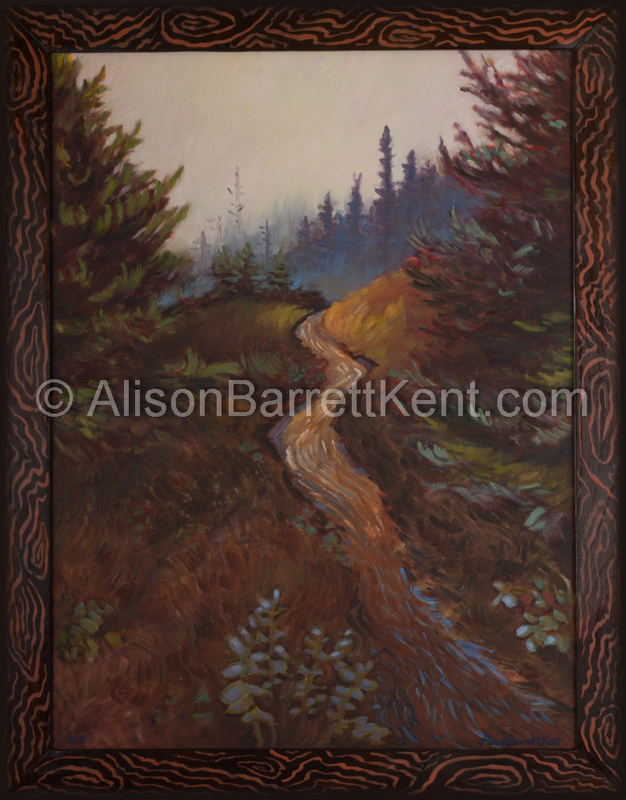 21″x 27″ Framed oil. 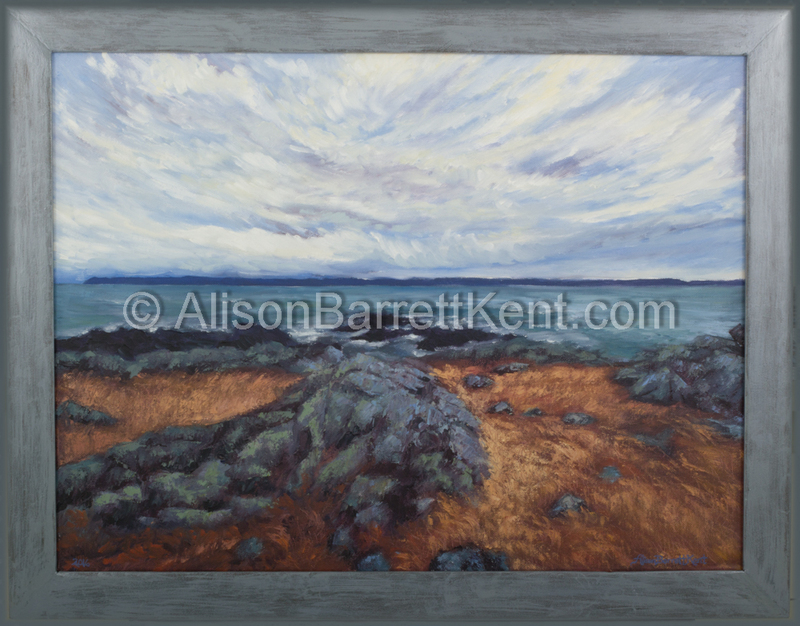 "View of Grand Manan from Green Point"
#4 – Grand Manan Island from Green Point. 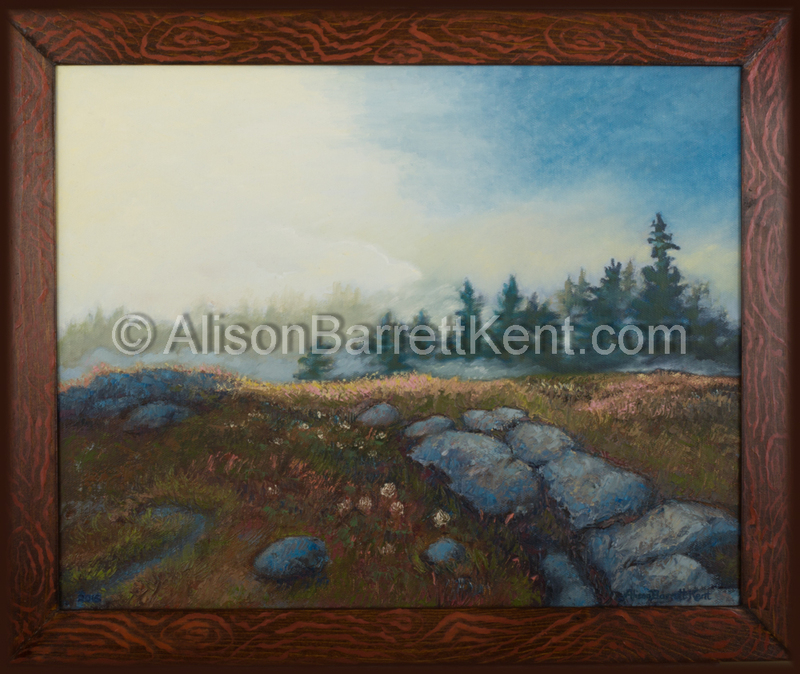 21″x 27″ Framed oil. "Along Hamilton Cove Preserve Trail"
#5 – Hamilton Cove Preserve Trail in the fall. 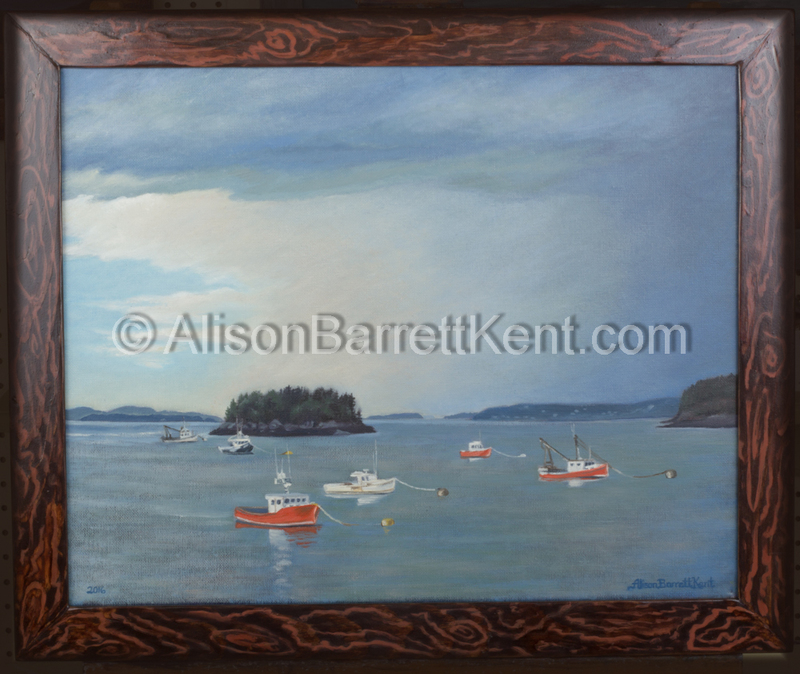 21″x 27″ Framed oil. #6 – Fog drifts in on the West Quoddy Trail. 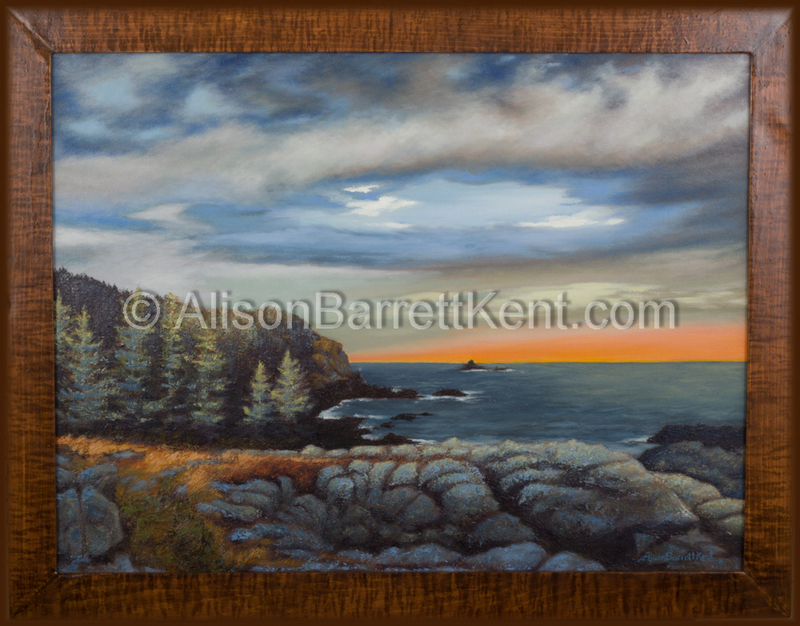 19″x 23″ Framed oil. #7 – Seagulls play around the Mulholland Point Lighthouse. 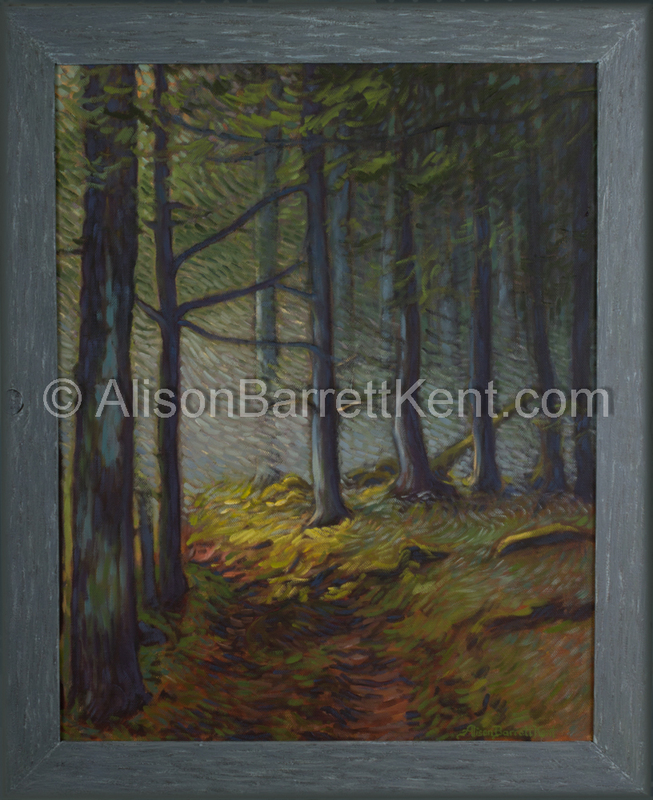 19″x 23″ Framed oil. 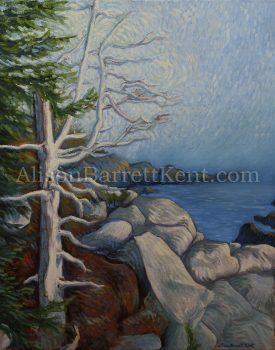 "Afternoon Light on Green Point"
#8 – Afternoon light shines through the fog at Green Point. 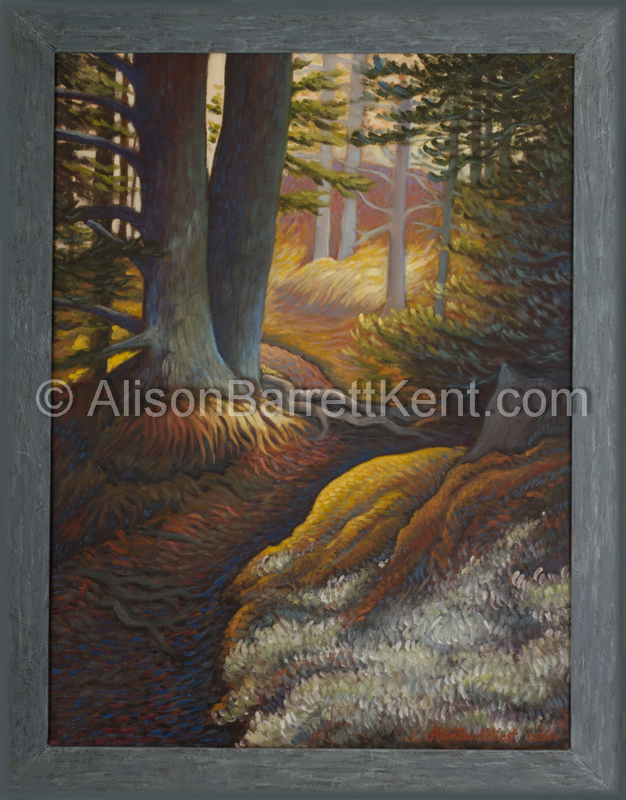 19″x 23″ Framed oil.